For more information about the ProServe program, please see the questions below. If the answer to your question isn't here, check the Frequently Asked Questions (FAQ) or SMART Programs Training Requirements pages. If you need more help, please contact us. 1. What is ProServe Liquor Staff Training? ProServe is Alberta's responsible liquor service and sales training program. Certification is mandatory for workers in specified positions. Since 2004, ProServe has helped liquor industry workers understand how to serve and sell liquor responsibly. Certification is mandatory for workers in specified positions. ProServe does not replace the on-the-job training, knowledge or experience provided or required by a worker's employer or special event licensee. It does not include information on all liquor laws or AGLC policies. 2. Why was it created? A bit of history: In 2004, AGLC launched ASIP, or the Alberta Server Intervention Program, an industry-led responsible beverage service training program for all workers who serve or sell liquor. ASIP was created from other responsible liquor service training programs to provide standardised social responsibility training to liquor industry workers across Alberta. In 2008, ASIP was renamed to ProServe. 3. What are the benefits of having a ProServe certificate? Successfully completing ProServe helps ensure workers understand what duty of care is and how to prevent foreseeable harm to customers, guests, co-workers and the public. 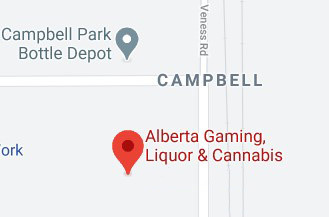 It also helps staff and volunteers understand some of Alberta's liquor laws and AGLC's policies so they can provide safe, responsible liquor service. Private clubs and special events licensees have the same legal responsibilities as businesses that sell or serve liquor for profit. Insurance companies may require that people selling or serving liquor at these locations are ProServe-certified. Contact your provider or review the terms of your rental agreement for more information. 4. Who has to be ProServe-certified? A minimum of one bartender/server per every 100 patrons. Persons registered with the AGLC as a liquor agency and their employees whose duties include the sampling of liquor products. Other SMART certification(s) may be required for the work you do. Persons requiring ProServe certification must be certified within 30 days of their employment start date or before the expiration date on their certificate. Liquor industry workers selling or serving liquor for Commercial Public Resale Special Event must be certified before the event. More information about ProServe policies can be found in Section 1.6 of the AGLC Liquor Licensee Handbook, General Merchandise Liquor Store and Retail Liquor Stores Handbooks, and in Section 2.3 of the Liquor Agency Handbook at aglc.ca. 6. Who does not need ProServe certification? Where liquor is provided under the authority of a Class D Sacramental Wine Resale licence. No minor may enter a Class A Minors Prohibited licensed premises or any other licensed premises where minors are prohibited, except as specified in Sections 5.513 and 5.5.14. No minor may work as staff in a Class A Minors Prohibited licensed premises; a Class D licensed retail liquor store, a hotel off sales room, a manufacturer's off sales room, a Class F ferment-on-premises facility; a duty free store; or any other premises where a "minors prohibited" condition has been imposed on the licence. A minor employed as table staff in a Class A, B or C licensed premises where minors are allowed may not sell or serve liquor. No minor may be employed in a Class E licensed premises. Class C and Private Special Events licensees: Private clubs and special events have the same legal responsibilities as businesses that sell or serve liquor for profit. Insurance companies may require that people selling or serving liquor at these locations are ProServe-certified. Contact your provider or review the terms of your rental agreement for more information. ProServe is available to Class C and private special event licensees at no charge. For more information, contact us. Toll-free in Alberta, call 1-877-436-6336, Mondays through Fridays, between 8:15 a.m. and 4:00 p.m.
Licensee staff and public special event workers must provide proof of ProServe certification at the request of an AGLC Inspector. Failure to show proof of certification (card, Personal Information page, image or photo saved to a mobile device/phone) may result in disciplinary action. Licensees with uncertified staff could face penalties such as a warning, fine, liquor licence suspension or termination. Liquor legislation and policies are online at aglc.ca. AGLC Board policy: failure to ask for proof of age for those persons who appear to be under 25 years of age. Policy and program content may change after industry workers are certified. Industry workers are responsible for reviewing the program content and the Liquor Licensee Handbook, Retail Liquor Stores Handbook, General Merchandise Liquor Stores Handbook, or Liquor Agency Handbook (at aglc.ca) periodically to keep their knowledge current. 9. I have questions about my ProServe certification. Where can I go to find more information? Note: The SMART Programs office is closed on weekends, statutory holidays, and from Christmas Day through New Year's Day.